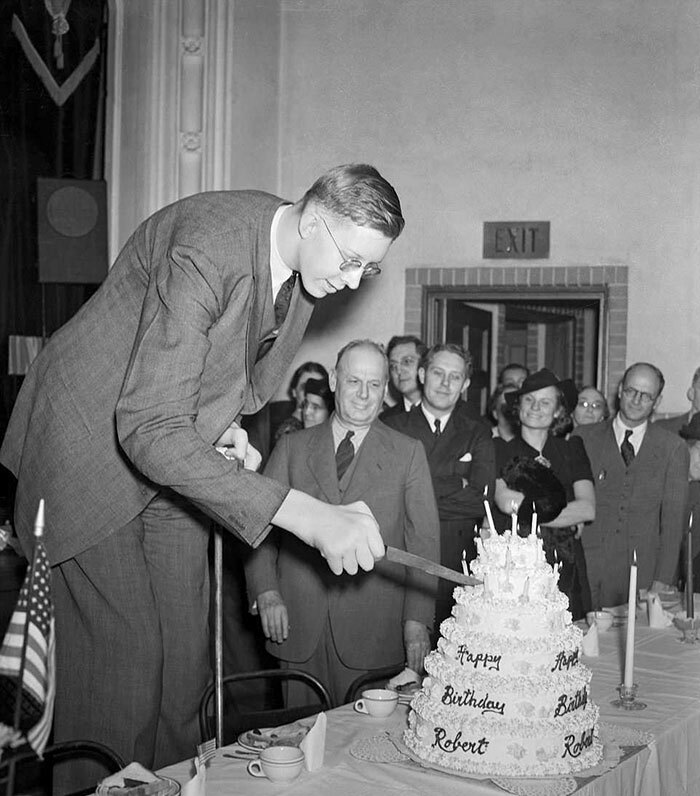 On February 22, 1918, a healthy boy named Robert Wadlow was born. Although, nobody could’ve anticipated that the seemingly normal baby boy will grow up to be the world’s tallest man. 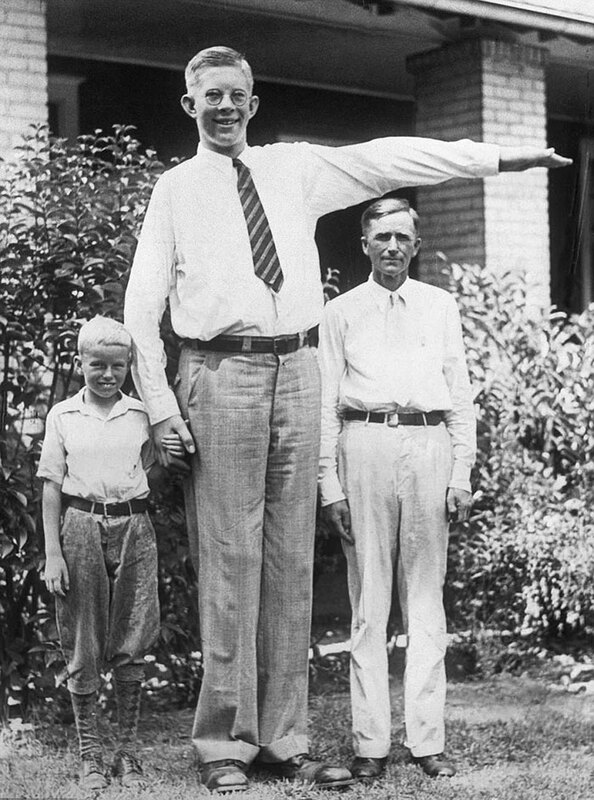 Wadlow’s extraordinary growth was fueled by a hyperactive pituitary gland. This has led him to grow at an astounding rate soon after birth. 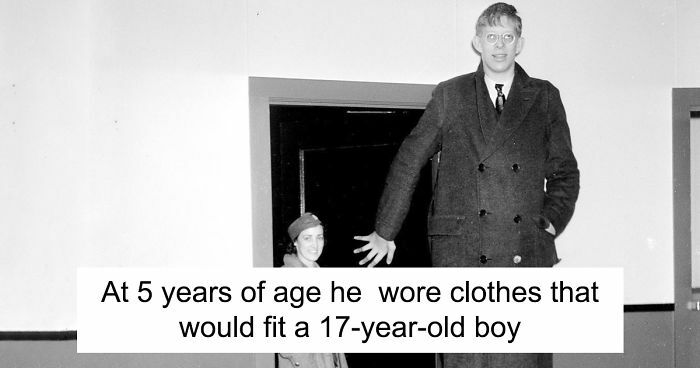 By the age of 5, he had to wear clothes intended for a 17-year old, as he reached the height of 1.63 m (5 ft 4 in). Three years later he outgrew and outweighed his own father as he has towered at a height of 187cm (6 ft 2 in) and weighted 90kg (200 pounds). There’s no denying, that Wadlow was an extraordinary child, however his parents tried to make his life as normal as possible. 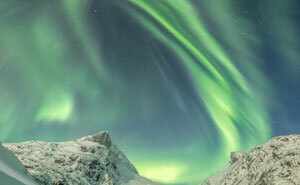 It was not easy for him to participate in regular activities because some adjustments had to be made. When at the age of 13 years old he became the world’s tallest Boy Scout, he had to wear a custom-made uniform and had a tent and a sleeping bag modified according to his height. 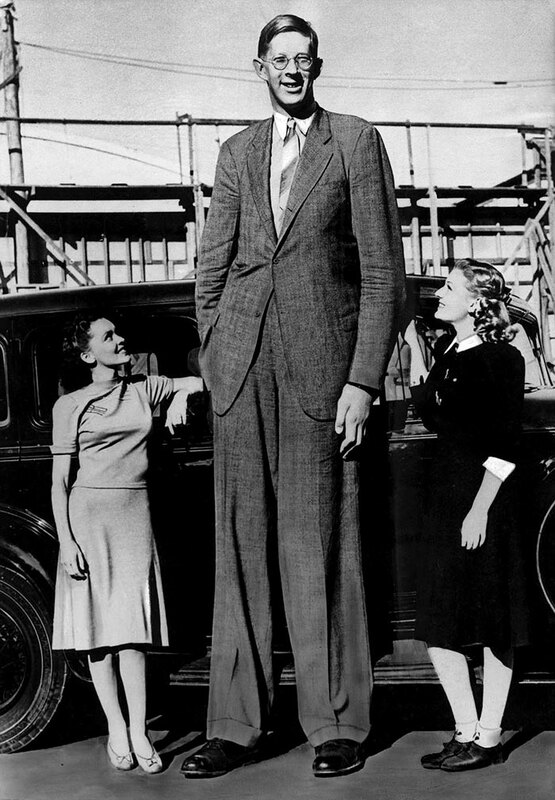 The giant, broke the record for world’s tallest man when he reached the 2.53 meters (8 ft 4 in) height at the age of 18. However, he suffered from weakness and lack of sensation in his legs and feet, and he required leg braces and a cane to walk. In 1940 ill-fitted brace rubbing against his ankle caused a blister. 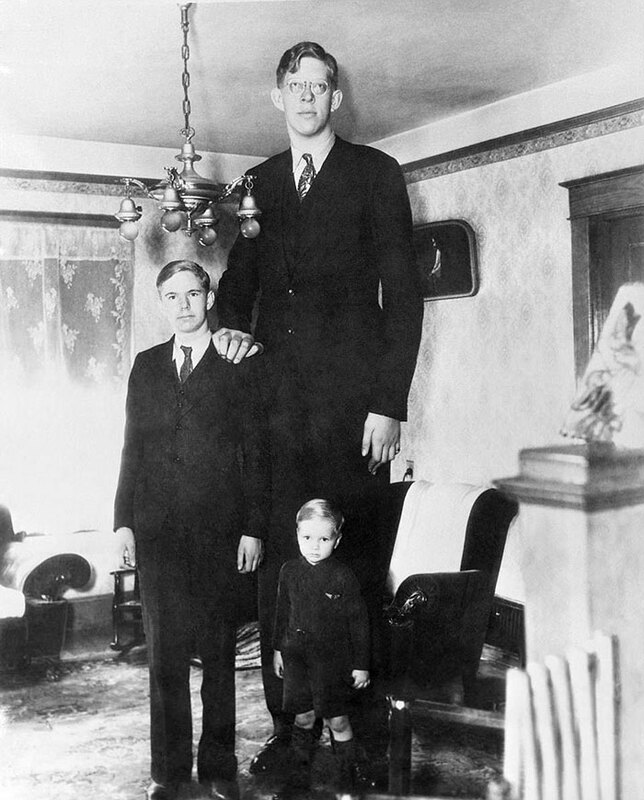 It got badly infected and on July 15, 1940, Wadlow passed away at the age of 22. Prior to his death, the doctors had measured his height at 2.72 meters (8 ft 11.1 in). The last words of the giant were “The doctor says I won’t get home for the celebrations”. He was referring to his paternal grandparent’s golden wedding. Recently a breathtaking rare footage of this unique man has emerged. Watch it below and tell us what you think in the comments! Plus, he didn't have sensation in his legs, so he wouldn't have noticed the blister. I believe he died of sepsis. All that was available at the time were sulfa drugs, and they just weren't up to the job. To my medical understanding, also the enourmous growth would be treatable today. I think children in most countries get measured routinely during the infant and toddler doctor visits and their growth checked against the WHO tables. 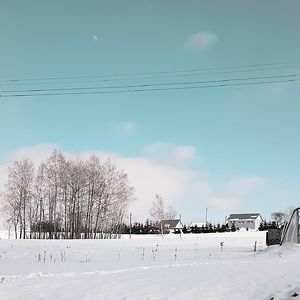 If they are above the 99th pecentile or below the 1st percentile, or if they show unregular growth patterns, it will be checked if there is a pathological reason for the growth. I, thus, agree that while the photos are stunning, his fate is pitiable. True, antibiotics as we know them today were still in the laboratories at the time, but even in Wadlowe's era, doctors were aware that certain molds contained substances that could cure illnesses. They used them mostly as compresses on infected wounds, but sometimes had patients ingest them. My grandmother, born 1901, once told me that when she got sick as a kid, her old country doctor in Missouri would make her eat a slice of moldy bread. It was chancy, because the mold could contain anything, not necessarily penicillin. He looks like a very kind man in the photos--some of them look so unreal, especially when he is standing next to his father. I'm sorry he died so young. His shoe size also look huge, I wonder what size he was? 36.5. I am from his home town and did a report on him in 4th grade. Sorry what is that in American size? In his hometown (Alton, IL, USA), there is a park featuring a life sized statue of Wadlow, and a bronze statue of his favorite chair. His gravestone is regular sized, but his grave spans two plots in length. I have a picture of me as a kid standing next to that statue. I'm still amazed by it, to this day.